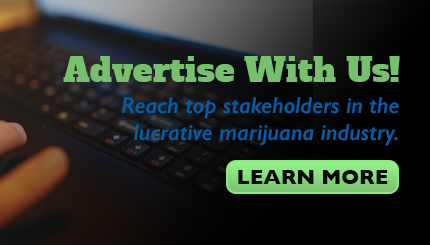 In case you haven't been paying attention, big things are happening with the marijuana industry. Last year, more than a dozen unique milestones were made, with the biggest of all being Canada's legalization of recreational weed. In passing the Cannabis Act, Canada became the first industrialized country in the world to give the green light to adult-use consumption. We've also seen sales estimates for the industry soar. The team of Arcview Market Research and BDS Analytics has called for 38% global growth in 2019 to $16.9 billion, with investment bank Cowen Group forecasting up to $75 billion in sales by 2030. As a result, marijuana growers have more or less been in an escalation war over production capacity since the beginning of last year. This is a "war" that Aurora Cannabis is currently winning, with yours truly projecting 700,000 kilos in peak annual output by 2021 or 2022, although Canopy Growth is within striking distance at more than 500,000 kilos per year. But this doesn't mean that other major producers aren't doing what they can to move up the list, so to speak. 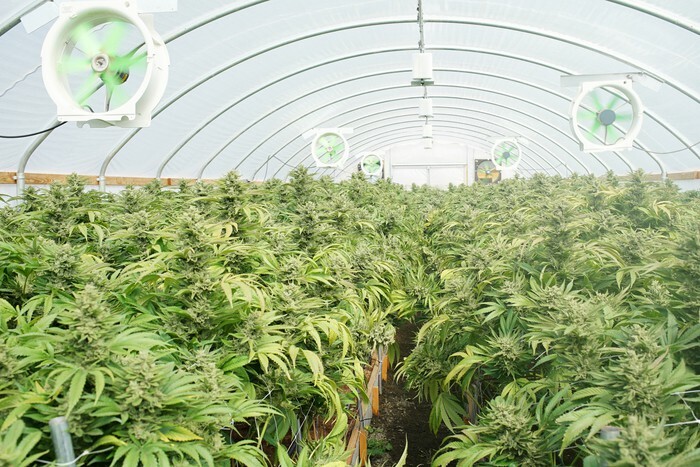 Last week, British Columbia-based Emerald Health Therapeutics (NASDAQOTH:EMHTF) announced that it would be exercising one of its lease options regarding its Pure Sunfarms joint venture with Village Farms International (NASDAQ:VFF). In doing so, it nearly doubled its peak production potential. Back in 2017, Emerald Health and Village Farms created the 50-50 Pure Sunfarms joint venture with the idea of retrofitting Village Farms' existing vegetable-growing greenhouses to cannabis production. The initial outlay involved 1.1 million square feet of vegetable-growing space that, when complete, would house 1.03 million square feet of cultivation area and yield at least 75,000 kilos per year. Thus far, approximately 825,000 square feet of cultivation space has been licensed by Health Canada at the Delta 3 facility, with the remainder expected to be licensed very soon. However, the joint venture featured an option for Emerald Health to acquire up to 3.7 million square feet of additional growing space from Village Farms to be used for cannabis production. On Monday, April 1, Emerald Health exercised its option for a second 1.1-million-square-foot facility (to be known as Delta 2), and announced its intent to purchase 25% of the aggregate production from Delta 2 and Delta 3 in 2020, 2021, and 2022. Emerald Health is expected to commit roughly 25 million Canadian dollars to help construct Delta 2, with positive operating cash flow from the joint venture funding the remaining CA$35 million (the Delta 3 facility cost CA$60 million). It's worth noting that the Delta 3 greenhouse was built with an automated nursery -- and since it's adjacent to the Delta 2 facility, this nursery will allow the Delta 2 facility to utilize more space for cultivation than Delta 3. More importantly, it doubles the peak annual output of Pure Sunfarms to at least 150,000 kilos. Inclusive of the company's Verdelite facility in Quebec, this move nearly doubles Emerald Health's capacity from 47,000 kilos to 84,500 kilos. Of course, with the company's Metro Vancouver space and the potential for acquiring up to 2.6 million square feet in additional grow space from Village Farms, peak yearly output should exceed 100,000 kilos. After falling to near the back of the pack among major growers, Emerald Health really appears to be getting its act together. On top of simply boosting capacity at Pure Sunfarms, it's been actively diversifying its product line. Last year, it agreed to purchase 500 acres of hemp chaff from Emerald Health Hemp (a subsidiary of Emerald Health Sciences, which owns about a third of Emerald Health Therapeutics' stock), and will up the ante to 1,000 acres between 2019 and 2022. Hemp is relatively inexpensive to grow, but it's rich in cannabidiol (CBD), the cannabinoid best known for its beneficial medical properties. Thus, Emerald Health's push into hemp will provide the company with plenty of high-margin CBD-based products. Speaking of pushing into high-margin alternatives, Emerald Health also formed a strategic alliance with Factors Group in August 2018. Factors' facility is capable of 1 million kilograms of biomass extraction per year, and can handle the production of 600 million softgel capsules per year. This alliance ties in with Emerald Health's diversification into hemp and desire to sell products rich in CBD. With Pure Sunfarms already recording a very small profit on its first sale, and hemp providing a low-cost source of high-margin CBD, things would appear to be looking up. On the other hand, Emerald Health's path to success isn't as smooth as you might think, even with a more diverse product line and added output. There are two pretty major concerns that should be at the forefront of investors' minds. First, there's Pure Sunfarms' yield. While it's true that the joint venture has done a good job of lowering costs by securing 48 megawatts of electricity from BC Hydro, as well as not having to rely on a separate nursery in Delta 2, 150,000 kilos of yield spanning close to 2.1 million square feet of cultivation space (aggregate of Delta 2 and Delta 3) isn't very good. This works out to between 71 grams and 72 grams per square foot, which is almost 30% lower than the industry average. That has me a bit worried about Emerald Health's margins, even with its product diversity and cost-saving measures. The second concern is that Emerald Health and Village Farms still have a ways to go to secure domestic supply deals. Pure Sunfarms has a modest 13,000 kilos, 1.5-year supply deal with its home market of British Columbia, a supply deal with Ontario, and a recently announced letter of intent to supply pot to the Quebec market. But this leaves a lot of provinces that the joint venture has yet to serve, suggesting that it could struggle to find buyers for its dried flower if it doesn't pick up the pace and land long-term supply deals. Business is definitely beginning to pick up for Emerald Health, but the company still has a lot to prove before it becomes "buy-worthy."